Checklist and Guide re: how to add a new classroom and how to set up a classroom on ClassTag. Setting up your classroom is a very quick and easy whether it is your first one or you have done it before. Check all the key steps and tips here. You can have as many classes as you need on ClassTag after you have your first one! 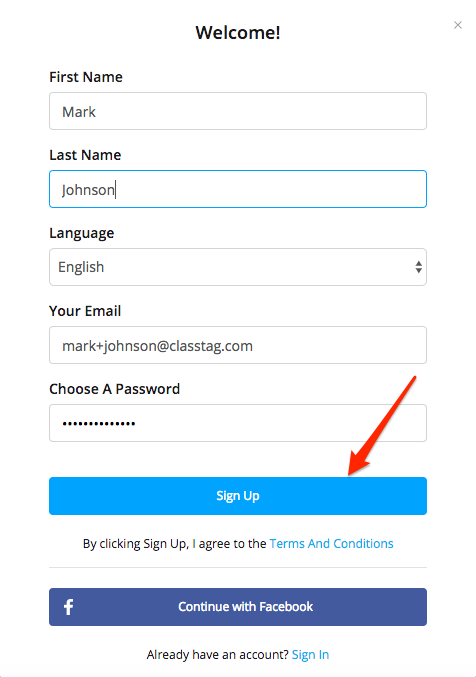 As you are signing up for ClassTag for the first time, you have an option to create your first class or a demo class. 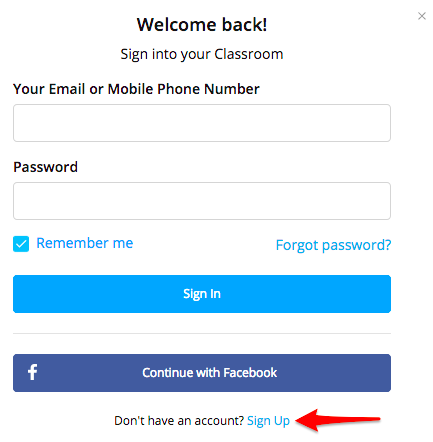 Go to ClassTag and click on the Log in button and click “Sign Up” to create an account. 2. Fill out the sign-up page with your name and last name, preferred language, email address and password then click on the “Sign Up” button. 3. A email verification will be sent which you can do later. 4. Click “I’m a Teacher” on the next page. 5. 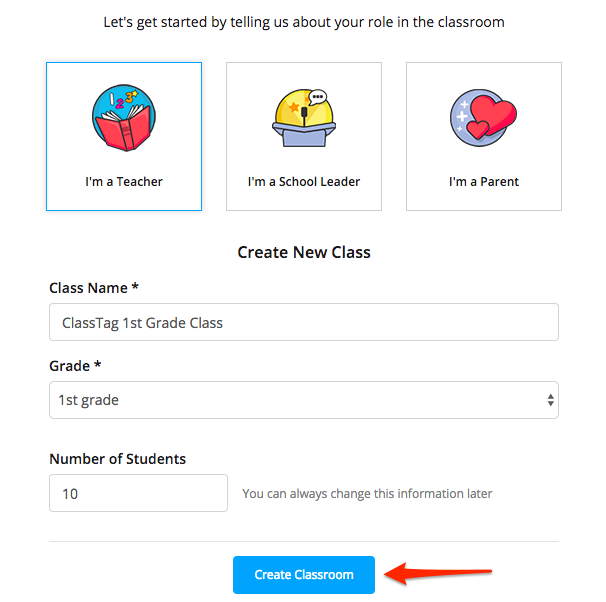 Fill out the necessary information about your class then click “Create Classroom”. 6. 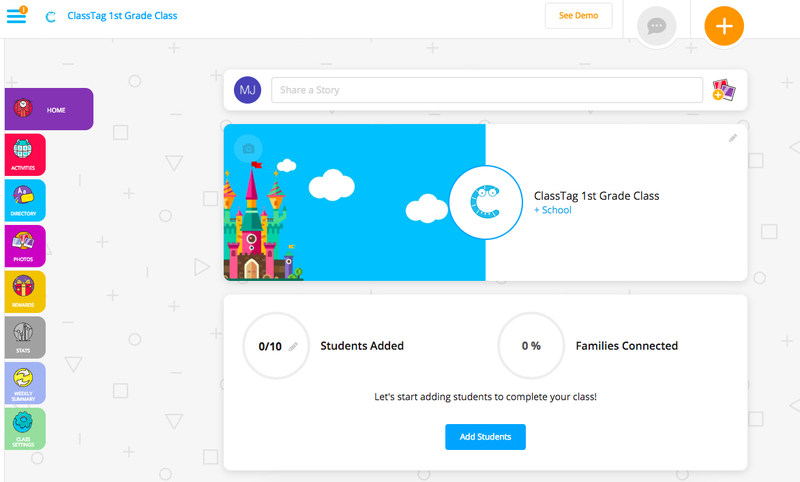 You’ll now see your class Home page for the first time. You can always go back to your class settings by clicking "Class Settings" in your left navigation on the computer or click to see 'More' on your phone. You can configure your settings based on your preference. Don’t forget to click on the “Update Class” button after you make any changes on this page. 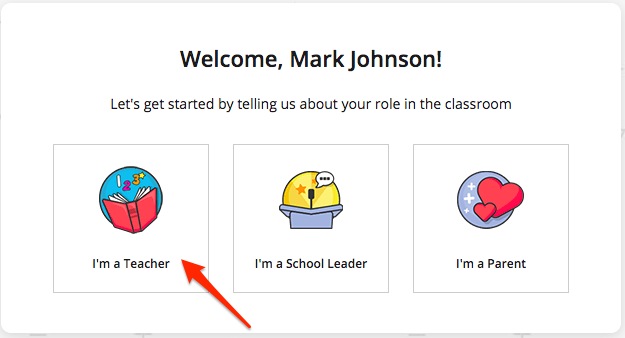 From your Home page, you can assign your classroom to a school and select to be the ClassTag School Leader. If someone already has claimed your school on ClassTag, you can ask to be invited. They would be able to easily find your classroom if they search by your email address. There are very few things as motivating to parents as seeing their own children's smiling faces in your class. Cover photo is a great way to kick things off on the right foot and set the tone! And better yet, if you are using flyers as a way to sign up parents, the cover photo would be on them as well! All you need to do is click on the cover photo on your Home page and replace it. Changing your class avatar is the same way as changing your class photo. You just need to click on a different part on your Home page. It’s the icon on the left side of your class name. If you need to change the address of your school, please contact ClassTag at support@classtag.com. Please provide the full name of your school and the correct and complete address so we can update it for you. 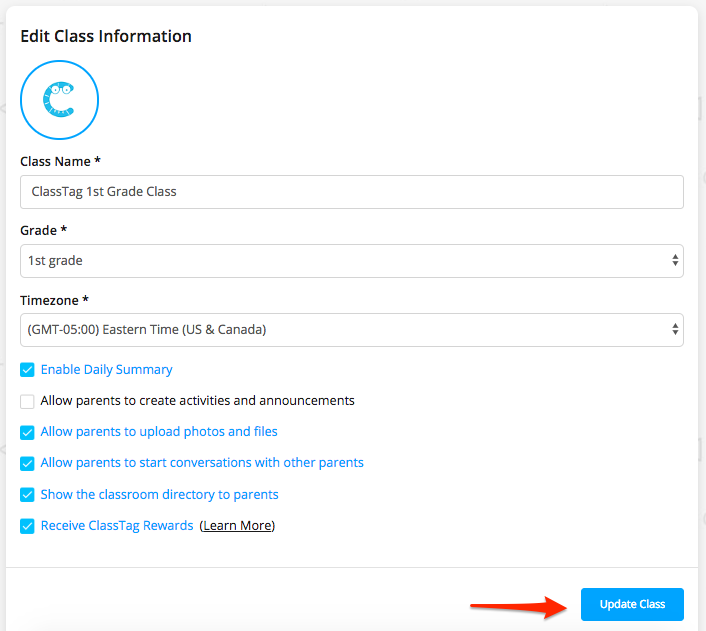 You can create new classes on ClassTag if you are teaching multiple classes or just looking to create groups that would need a separate communication and scheduling channel. Just click on the top left of your screen to pull a side menu and select "Add New Class" under the list of your existing classes. Further details can be seen here. Demo Class is a great way to see your real one in action especially if it is the first time you are using ClassTag. This demo class is automatically getting added in your account which you can see by clicking on the three lines. It should be right below your actual class. You can deactivate a demo class at any time or leave it there for you to experiment with. If it is that time of the year and you are looking forward to the summer, you can let everyone know that the classroom will be archived and choose to "Graduate This Class". We know it can be a sad moment!